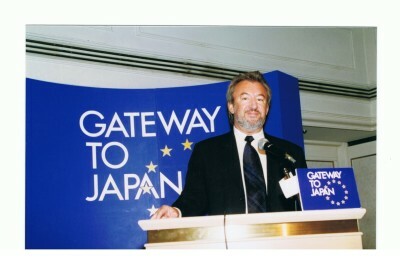 Johannes Drzyzga, Inventor & President of JCD Technology started his company in February 1983. The registered Number in Chamber of Commerce Hamburg: HRB 30749, Hamburg. The company was awarded membership in High Tech Center Hamburg in 1984 and Life Science Germany in 2001, for its development of a new principle, “pulsating electromagnetic fields used in the body’s healing process”. JCD Technology is one of the leading companies in the world market in the development of pulsed magnetic field therapy . The generator’s unique features and unique technology leads to a significant increase in the speed of the healing process of many illnesses. General principle of JCD Cellwell Dynamic Energy System Therapy. Every healthy cell is characterized by active ion transport. It sickens and dies if the necessary electrical potential is lost, because it is then no longer possible for the cell to be adequately supplied, particularly, with oxygen. Using the JCD Cellwell Dynamic Energy System therapy technology, magnetic fields pulsing at a low-frequency penetrate the human body and supply the cell with electrical energy. This increases enzyme activity. Pulsing magnetic fields also increase ion dynamics and lead to improvement in the oxygen supply and increase the partial oxygen pressure (pO2) of the cells. The circulation in the vessels and capillaries increase and the cell is provided with energy that promotes healing. CellWell Dynamic Energy System devices have been developed, improved and manufactured continuously for 32 years. To support their efforts, JCD Technology GmbH (Alpha Electronics) have always completed research work and tests in universities, hospitals, clinics, and with independent private-practice physicians worldwide. The influence of low-powered laser infrared radiation on energetic metabolism of hepatocytes. 1. Medical sector for human and veterinary needs. Fields Used: Tolal welbeing, MS & Chronic Fatigue, Internal Medicine, Aged Care & Disability, Physiotherapy & Rehabilitation, Inflamation & Infection, Pain Management, Disability Care, Stress Management, Anxiety, Mental Health, Sports Body Tuning, Performance Enhancong, Sports Injury, Anti-Aging & General Therapy. Naturally, we devise an individual therapy plan for each patient. However the following section should provide some general pointers, based on our experience: - Patients with early arthrosis generally require a single series of treatments amounting to 5 hours (10 sessions). Patients with advanced arthrosis generally receive a series of 10 hours’ therapy (20 sessions). There also exists the possibility that, after 5 hours’ sessions in the Alpha Pulse Centre, you will be given a device to take home for a period of 2 - 3 months. - For patients with an acute condition (e.g. sports injuries), 5 hours of therapy, divided into 10-15 therapeutic units of 20-30 minutes each, are generally adequate. The following is applicable in all cases: If possible, the first 10 sessions should be carried out on successive days. Thereafter, sessions can generally be reduced to three treatment sessions a week. The shape of your individual therapy plan depends upon how your body reacts to Alpha Pulse Therapy and naturally also upon the stage your arthrosis or condition has reached at the start of sessions. 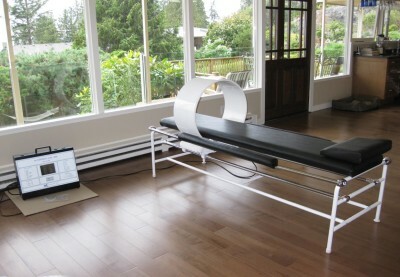 For the therapy to be successful, exact dosage and compliance with the therapy intervals are very important. After the initial examination, your therapist will tell you, how many units of Alpha Pulse Therapy appear to be necessary for your condition. As for all other sessions, the following is the case: The sooner you begin therapy and the earlier the stage your disease has reached, the better the result. In the normal course of events, you should be able to detect an effect even after the first few hours’ therapy. After ttherapy, you must allow your muscles and joints to get used to normal use, because pain and lack of movement will often have led to shortening and weakness of the muscles or faulty positioning of the joints, which in turn may have led to incorrect posture. The freedom from pain brought about as a result of Alpha Pulse Therapy, however, allows you to perform controlled physiotherapy exercises, which you were previously unable to carry out. Thus you can learn to move your joints better and thus strengthen and stretch your muscles in such a way as to compensates for static errors. Your therapist will investigate your weaknesses when examining you when you enrol for treatment and when the treatment is complete and, if necessary, will show you appropriate exercises. As a result, you will be able to maintain your pain-free state. At the conclusion of treatment, it is advisable - particularly for those with chronic conditions. We refrain from treating a very few patients at the Alpha Pulse Centre. These include, in particular - Patients with an electronic device, such as a cardiac pacemaker - Patients who are pregnant - Patients whom the Alpha Pulse therapist counsels against therapy for some other reason after the initial examination. ​Since 1979, when the FDA permitted the stimulation of bone growth in the United States, over 300,000 patients have been treated with magnetic field therapy. Universities in many countries, which have used magnetic field and Alpha Pulse Therapy devices developed and made by ALPHA ELECTRONICS GMBH from Hamburg since 1983, can confirm the success of treatment. Dr Heinrich, team doctor to the Telecom Team, used our therapy successfully under the hardest conditions, such as during the Tour de France and other major cycling tours, to achieve rapid relief of pain due to strains, wound healing in the case of injuries and a more rapid restoration of vitality in these top athletes. Alpha Pulse Therapy is already used with equal success to treat the German National Cycling Team of the German Federation of Disabled Sportsmen (DBS) at the World and European Championships and also at the Paraolympics in Sydney 2000. 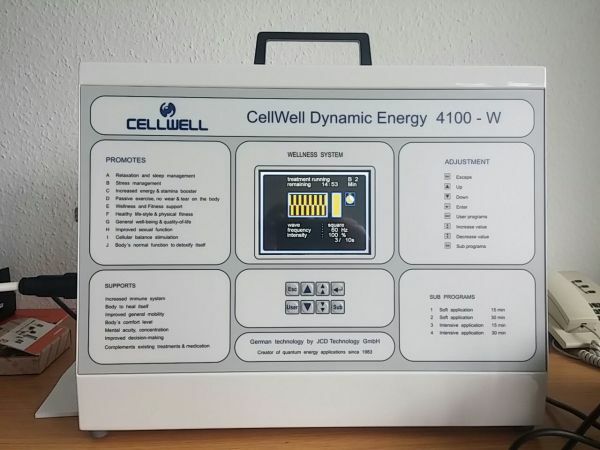 The Cellwell Dynamic Energy System 4100 devices, which we use, are without equal in terms of their performance, the form of the impulse and their technical parameters. Depending upon the applicator or coil, frequency and wave form, the equipment achieves an effective magnetic flow density of 7 to 40 millitesla (70 - 400 Gauss). In comparison with previous magnetic field systems, this performance is very much higher (ca.10 - 100 times) and more effective. This effectiveness is optimised by using multipulse systems, which are supported by an associated infra-red laser, and special applicators, which make a wide variety of different therapy positions possible and which are designed to treat by balancing individual diseased cells. Since 2006 all our devices qualification as Wellness equipment because it is non invasive therapy and 30 years using show not side effects. to full mobility, energy & stamina. Wolfgang K., a 41-year old dialysis patient, who developed osteoporosis as a result of the cortisone treatment to preserve his kidney and, for this reason, had to have his hip joint replaced with an artificial joint. When the head of the upper bone in his right arm also threatened to disintegrate and a massive arthrosis developed, either a fusion of the shoulder or a joint replacement was indicated here as well. As a result of a deterioration in renal function and also because of a fall, which resulted in the patient fracturing his rib, surgery had become temporarily impossible. In this condition, he started Alpha Pulse Therapy. After the fifth session, his shoulder was free of pain, after the sixth session he returned to work and, after the eleventh session, he was once again able to lie on the side with the broken rib. It took only 19 days to reach this point. After treatment, his shoulder muscles were strengthened by physiotherapy. Since December 1998 the patient has been free of pain and his shoulder is almost completely mobile. Elke V., a 55-year old patient with arthrosis of the joints of the spine. She had had two slipped discs and had undergone two disc operations. She had not been free of pain for more than 15 years. In physiotherapy, even the smallest stabilising exercises provoked pain, and measures to relieve pain reduced the pain for only a few minutes. In the end, the pain was treated with the strongest analgesics. However, these had a major effect on the patient’s level of consciousness. After three months of patient treatment the patient reported that the pain was reduced to 20% of its initial severity. The patient did not need to take painkillers any longer. Subsequently, the back muscles were built up again with a controlled programme of physiotherapy. Osteoporosis. We have results from one female patient from the USA with advanced osteoporosis of the hips and spine. After only 4 weeks Alpha Pulse Therapy, she experienced an 8% increase in bone density. Neither the patient nor her doctor could believe this result but it was confirmed in a second independent test. A 64-year old female patient with soft tissue rheumatism, acute hearing loss, allergies, strong toxic reactions as a result of amalgam and many years of working with chemicals (confirmed by doctors), suffered from severe fatigue and had felt extremely unwell for 15 years. Within 10 hours of treatment, the pain in her back and legs was definitely reduced, she could breath more easily, regained her sense of smell, her vitality increased, allergies (hay fever) were reduced and were subsequently completely eliminated, despite an increased pollen count, and she could once more tolerate loud noises. There was a complete disappearance of the swelling of her calves and the patient reported that, for the first time in years, she no longer felt ill.
A 54-year-old female patient presented to us with severely swollen calves, venous perfusion problems in both legs, deep blue coloration of the right calf and the beginnings of an ulcer (leg sore). After only a week of treatment, the swelling of the calves decreased. Blood flow improved, the ulcer became smaller and the skin was restored to its original healthy colour. Mountain bike professional Mike Kluge (several times world champion in cross country and Grundig world cup winner), who was unable to put full weight on his knee after a serious fall, was treated by us with Alpha Pulse Therapy. As a result, he became free of pain again. A 23-year-old dancer had to have the anterior cruciate ligament in her knee joint replaced. For this, she utilised a 6-month break that arose in the course of her work. After three months, there was still no effective rebuilding of the muscles, because of recurrent sensitivity of the muscle tendons around the knee joint. Rehabilitatory measures could not be carried out within the timescale available and the dancer’s return to the stage drew ever closer. After one week of Alpha Pulse Therapy, the patient no longer had the sensation of a wounded knee. The knee could be extended completely for the first time. After a further week of Alpha Pulse Therapy, the dancer was able to bear weight on her knee without any sensitivity and could continue physiotherapy in an effective manner. She was able to return to the stage as planned three months later. Anja Behrend, 19-year-old ballerina at the Hamburg Staatsoper, recovered - as a result of Alpha Pulse Therapy -, after severely damaging the cartilage in her knee. For an outlay of under $190.00 per week may return over $2,000.00 per week in a Health Care practice. It is a pricless addition to any Business or Corporation to releave stress and enhance performance and productivity. transforming the nature of your health care. Please read the encolsed site information, then complete the enquiry form to purchase or receive further details. Thank you. Both CellWell devices compliment each other and are recommended and used as part of the one CellWell Experience. Learn more about an FDA registered device that uses a scientifically proven method to transmit electromagnetic signals that stimulate the pumping action of the smallest blood vessels. One 8 minute treatment supports the body's control mechanisms for prevention, regeneration and rehabilitation processes for 12-16 hours. The content on this siite is protected by copyrite (c) & trade marks (TM) Registered to Cellwell, & JCD Technology.